The Argentine submarine ARA San Juan, which disappeared mysteriously in the South Atlantic, emitted a final distress message on November 15 – according to a Buenos Aires-based TV station. The private channel A24 has claimed that the signal was given at 8.52 a.m., saying that a short-circuit had sparked a fire on board. “Sea water entering via the ventilation system towards battery reservoir Number 3 has provoked a short-circuit and sparked a fire,” the transcription says. The SOS message sent to the navy’s command centre ends with the words: “Bow batteries out of order”. 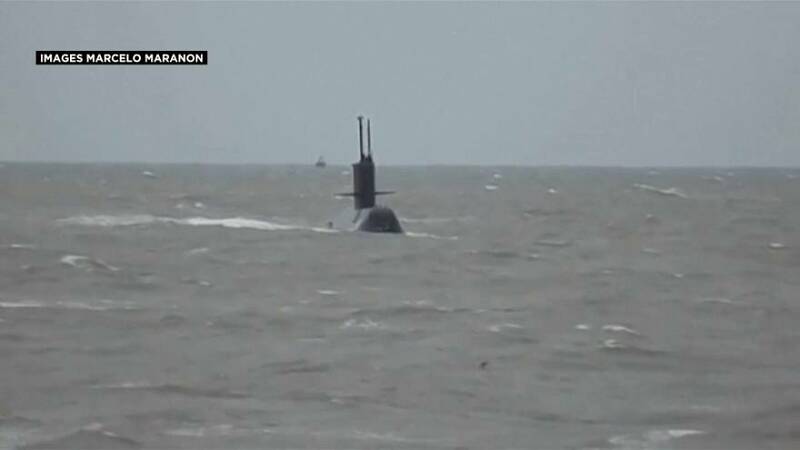 The submarine’s crew of 44 sailors also said the vessel was flooding, A24 claimed. It has taken 12 days for such important news to filter out. The Argentine navy’s high command has been severely criticised in the country for its silence since the disappearance was reported – particularly among the families of the crew, desperate at the lack of news. The military authorities had only announced that the submarine’s batteries had been damaged, but that the problem was resolved. The San Juan had cast off from the town of Ushuaia, on Argentina’s southern tip, on November 11, and was due to arrive in its home port of Mar del Plata. It was crossing the San Jorge Gulf, 450 kilometres off the coast of Patagonia, when it sent out its last SOS. Ships and planes were still carrying out searches across a radius of around 40 kilometres on Tuesday, to look for the missing submarine.